Kastel Shoes er et kult og urbant skomerke som opprinnelig er fra California. Andreas Malo Dyb har nå rettighetene og designer skoene her i Norge. Skoene er helt fantastisk komfortable og i veldig god kvalitet. Sommerskoen Ladera er svært populær og kommer i mange farger. Det aller beste med den er at du kan tråkke ned hælen og bruke den som en sandal. Perfekt for sånne som meg som hovner opp i beina i sommervarmen, og ikke minst gravide... Små luftehull sikrer deg frisk bris, så du unngår sure føtter. Høstmodellen Madla har vannavstøtende membran og er sporty i stilen. De veier nesten ingenting! Prisene går fra ca. 999 til 1399 kroner. Ladera-skoene er noe store, så du bør gå én størrelse ned. The model Ladera Glacier Green from Kastel Shoes (sponsored). 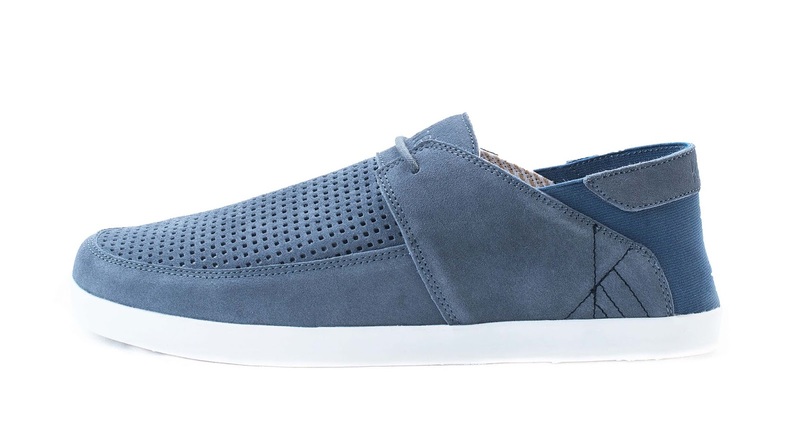 Kastel Shoes is a cool and urban shoes brand originally from California. Andreas Maly Dyb has the rights and privileges and designs the shoes here in Norway. The shoes are amazingly comfortable and in very good quality. 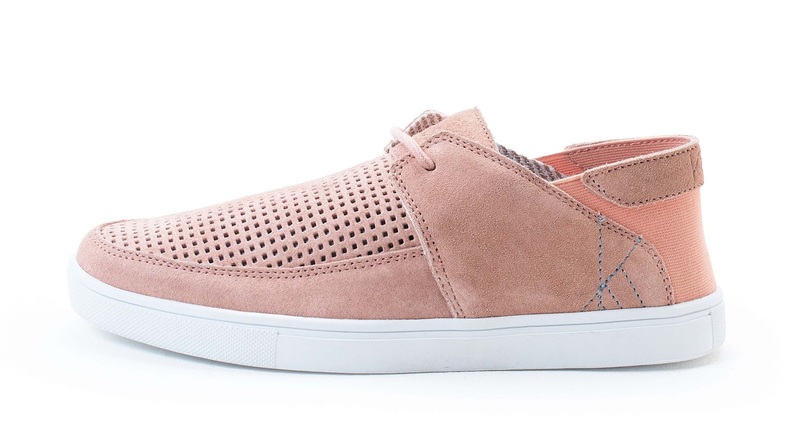 The summer shoe Ladera is very popular and comes in many colors. The very best about this model is that you can press down the heel and use it as a sandal. Perfect for ones like me that get swollen feet in the summer heat, not to mention pregnant women... Small air vents prevent smelly feet. 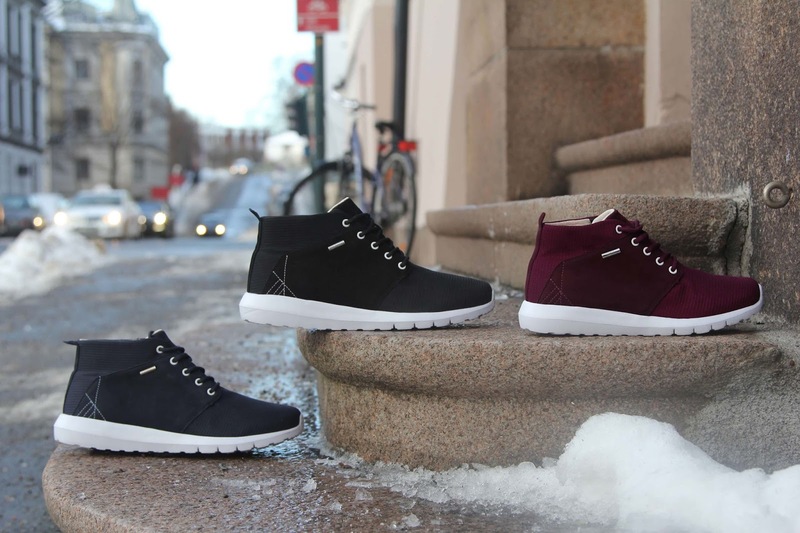 The fall/winter model Madla has water resistant membrane and has a sporty style. They weigh almost nothing! The price range is from approx. 999 NOK to 1399 NOK. The Ladera shoes are a little bigger than usual, so you should choose one size smaller. Sunglasses from JIL SANDER (borrowed from Polhem PR). Pearl earring from Jane Kønig. Outfit: Shirt from Zara, playsuit from Mango, earring from Jane Kønig, sunglasses from JIL SANDER and shoes from Kastel Shoes. I love this color too: Ladera Fog Blue. Photo: Emil Sollie. This color is my favorite next to the Glacier Green: Ladera Salmon Pink. Photo: Emil Sollie. You can press down the heel and use it as a sandal! Photo: Emil Sollie. 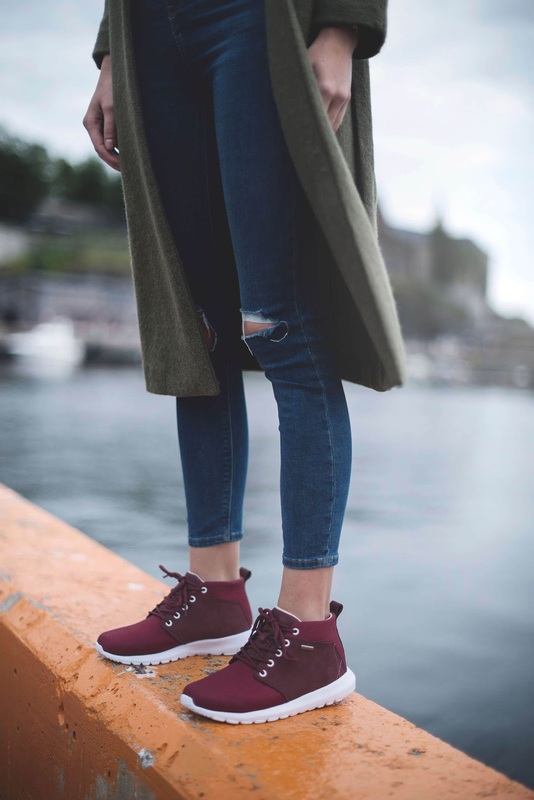 The water resistant, lightweight and sporty shoe model for this fall and winter: Madla. My favorite for fall is Madla Grape. Photo: Emil Sollie.